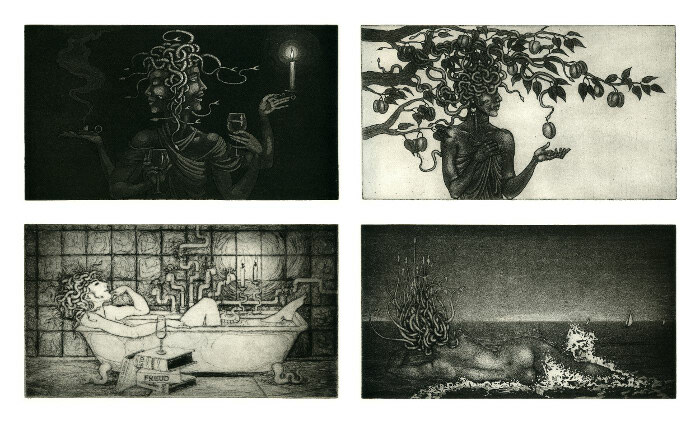 12 Medusa Etchings from the 2014 calendar are up for auction – see below for details. The floods have not quite been at my doorstep, maybe a hundred yards away, maybe two hundred… so this is a cause somewhat close to home. Now the floods are receding, but after a couple of months or more under water, there is a lot of mess and damage to the land and peoples’ homes, and it all costs money. 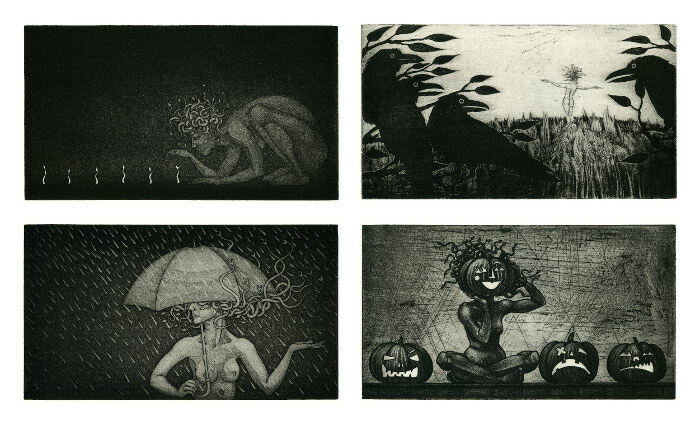 In an effort to help with the fund-raising I am donating a complete set of 12 etchings from this year’s calendar ‘A Medusa For All Seasons’. They are being sold individually. 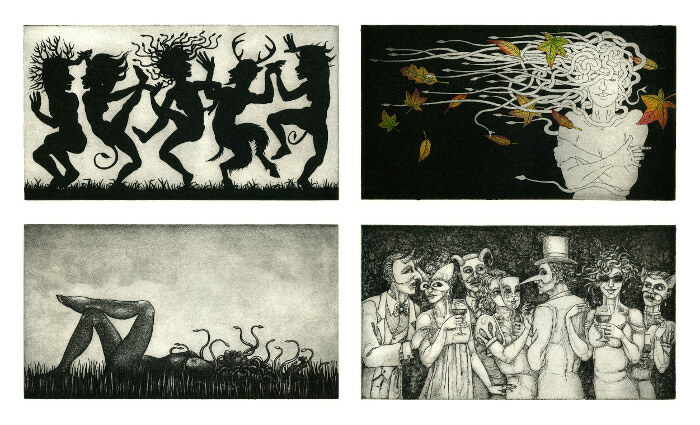 These original prints exist in only very small numbers and I usually retail them for £75 each, so if you fancy one GET A BID IN! you may get a bargain… though I hope they raise as much money as they can of course! The full list of goods and promises for auction can be seen here: http://www.somersetcf.org.uk/index.php?page=flood-relief-auction-at-othery. Bids can be taken by email and in writing (full details below). Proxy bids must arrive no later than noon on March 20th. 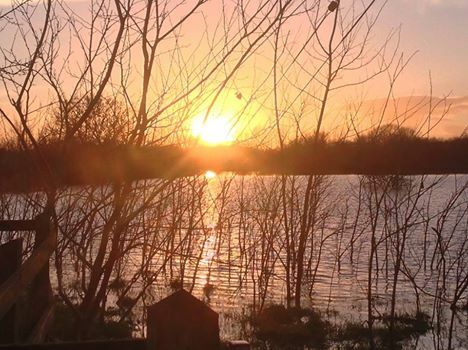 Members of the Othery Village Hall Management Committee are organising an auction of goods and promises in aid of the Somerset Flood Relief Fund, managed by Somerset Community Foundation. The event is on 21st March at Othery Village Hall, Fore St, Othery, Bridgwater, Somerset TA7 0QS. Viewing begins at 6PM and the auction will start at 7PM. Bar and light food available. Proxy bids can be posted to Othery Village Hall, Fore Street, Othery, Somerset TA7 0QU or by email to otheryvillagehall@hotmail.co.uk to arrive no later than noon on March 20th. Please state name, address, phone number, lot number, brief description, maximum bid. Reblogged this on JHladikVoss57's Blog.